Happy Small Business Saturday! Remember to support your local stamp and other stores in your community today! I'm going to my local stamp shop, Buffalo Stamps and Stuff, to purchase some things and participate in their annual Make 'n Take fundraiser. They use the money to purchase gifts for needy families. Love that store and all they do! Today is also our last Just Us Girls challenge for 2017! But don't worry, we will be back in January. The girls decided to take some much needed time off during this busy holiday season. I'm so grateful for this team of girls for keeping this blog challenge going for as long as it has! Our challenge this week is brought to us by Vicki with this great holiday photo. Here's a close up of the photo. I've always loved this color combination for Christmas cards. I was so happy to see this inspiration. The bottom photo on the left caught my eye and made me think of this ornament die I just got. I die cut it like a card, positioning the die just a bit off of a folded card. Then I die cut it again with the middle piece from some red cardstock and cut this piece out of it. 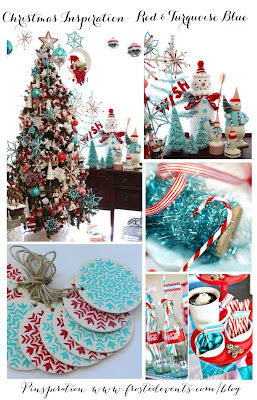 I used the coordinating stamp set and stamped the pine boughs in an aqua color then adhered the red panel. I die cut the holder piece from some coordinating aqua paper and adhered that to the top. The sentiments were stamped in red and I added Star Dust stickles to the open design of the red piece and some twine to finish it off. There's a sentiment stamped in red on the inside, but I didn't photograph that. 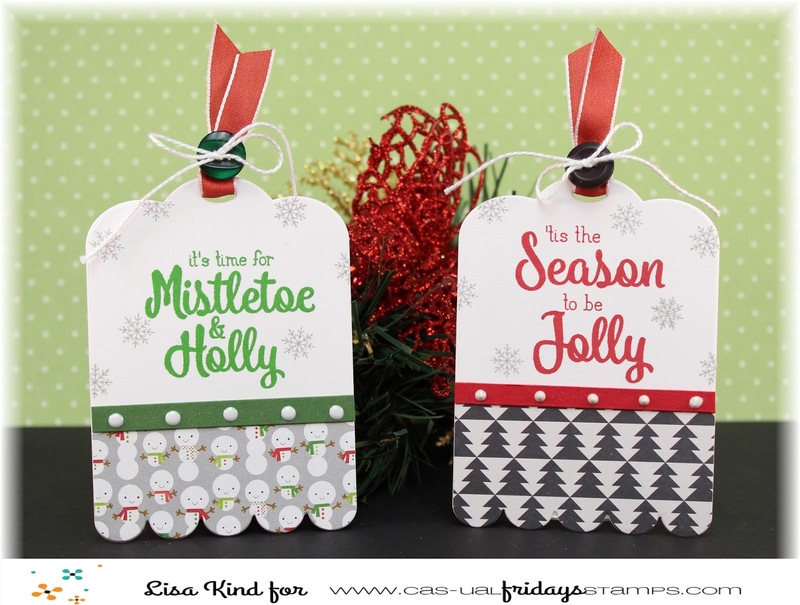 You can see more from the JUGs design team and our guest on the JUGs blog. Thanks to our November guest, Trina Pham, for being such a great guest this month! And I'd also sadly like to say farewell to Judy Woodland who is stepping down from the team. She and her talent will be missed, but we wish her well. Thank you for being a part of our team! That's it for today! Thanks for stopping by! Hi everyone! I hope you all had a great Thanksgiving. Ours was wonderful and the food was delicious (and the leftovers today were just as delicious!). 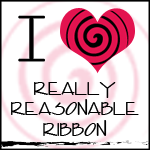 I saw a post on Laurie Willison's blog and I was so grateful I came upon it! 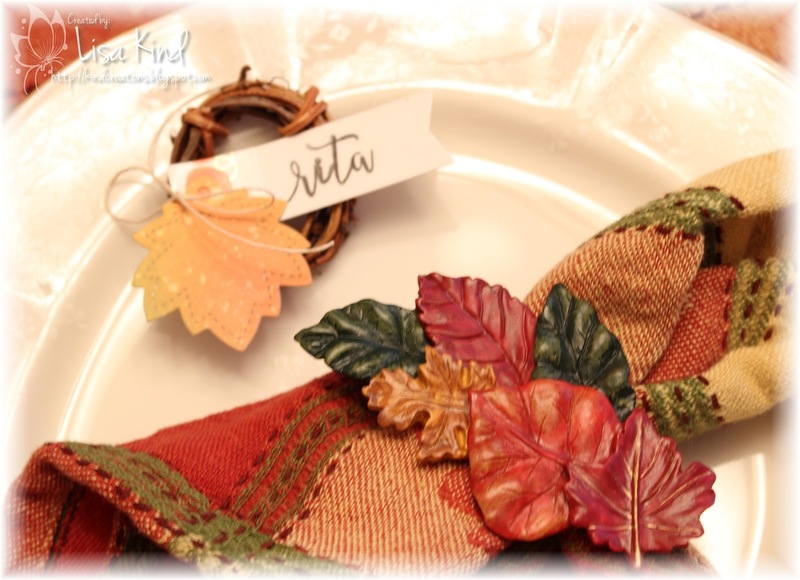 She made holiday place settings and I immediately knew I wanted to make these for my Thanksgiving table. I always love to make place settings for my holiday dinners. I of course had all the materials except for these super cute mini grapevine wreaths I got from Amazon here. 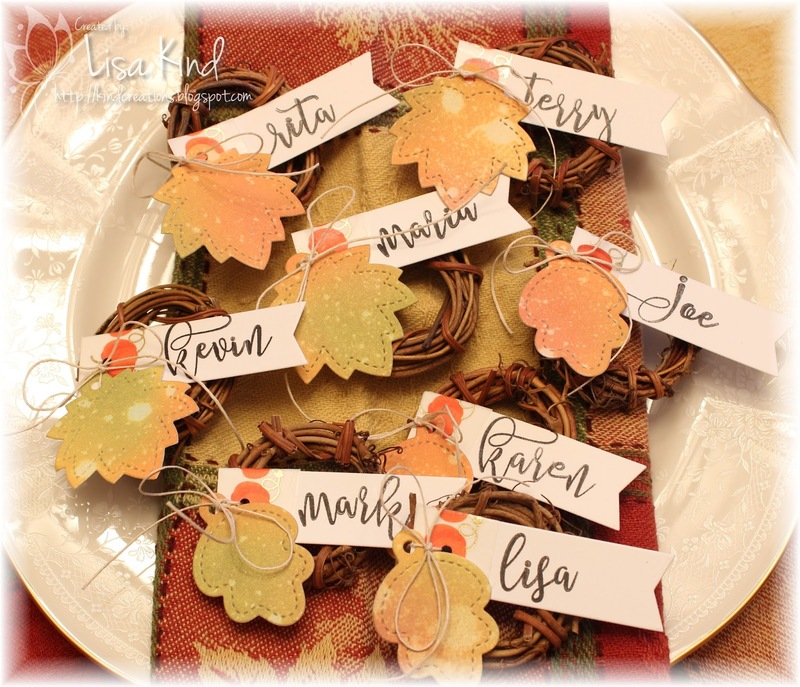 I used Mama Elephant's Calli Letters stamp set to stamp the names on a tag from Reverse Confetti. Then I took a piece of cardstock and sponged Oxide inks on it with orange, red, and green ink and spattered it with water. I die cut the leaves using Lawn Fawn's Fall Tiny Tags. I don't know if you can see it, but on the straight edge of the tag, I wrapped some pumpkin washi tape around it. Then I tied everything together with some twine. These are all the place settings I made plus one not photographed. My SIL told me at the last minute that her fiancé was going to join us. I wasn't sure I was going to be able to make one for him, but I didn't want him to feel left out. I still had all the materials on my craft desk, so I was able to pull one together for him in about 10 minutes. This photo is a little blurry, but this is how they looked on my table. Everyone loved them, and my niece Maria said she was going to put it on her tiny Christmas tree. I never thought about that when I was making them, but that's what I'm going to do with mine and my hubby's! Hi friends! Happy Thanksgiving to my US friends. I hope you are spending some time with your loved ones and eating all the bounty of this holiday! 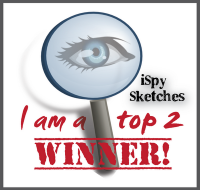 I know I am! This is my favorite holiday. 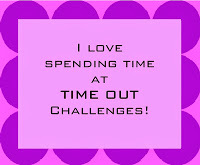 The challenge over at the Time Out blog is Inspired by Words. This is the sentiment to be inspired by. So perfect for today's holiday. I love wreaths, so I stamped up this magnolia wreath layered stamp set. 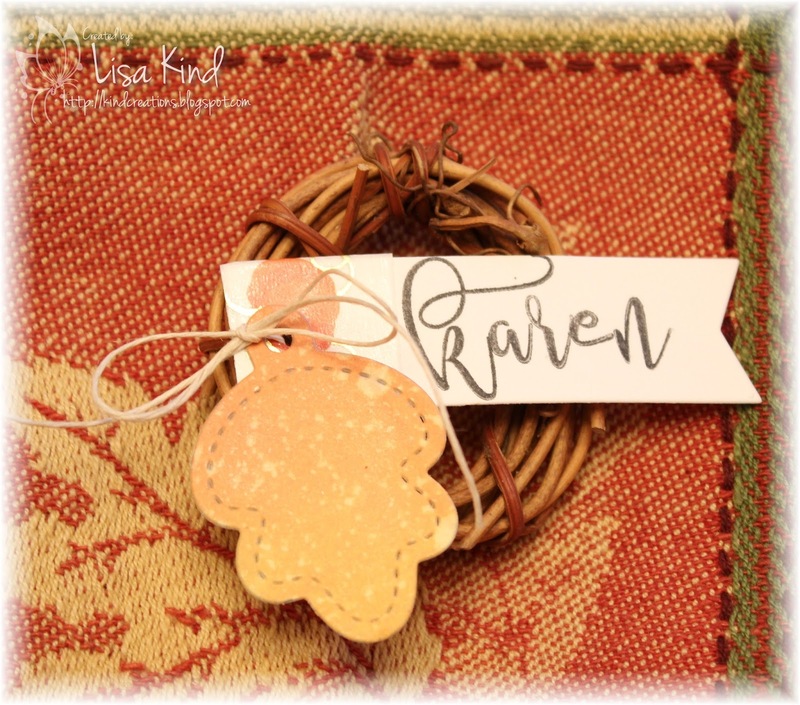 The first layer was stamped in peanut brittle Memento Luxe and the second layer in brown. 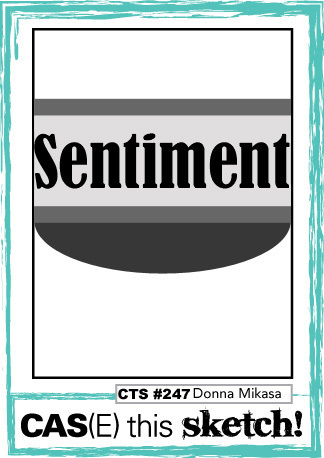 I then die cut the sentiment three times in white cardstock and once in shiny gold cardstock. I added sequins, mounted it on a brown panel then the base, and was done. This is a 4.25" square card. You can see more from the design team and our guest for this challenge, Izzy, on the Time Out blog. Hi everyone! 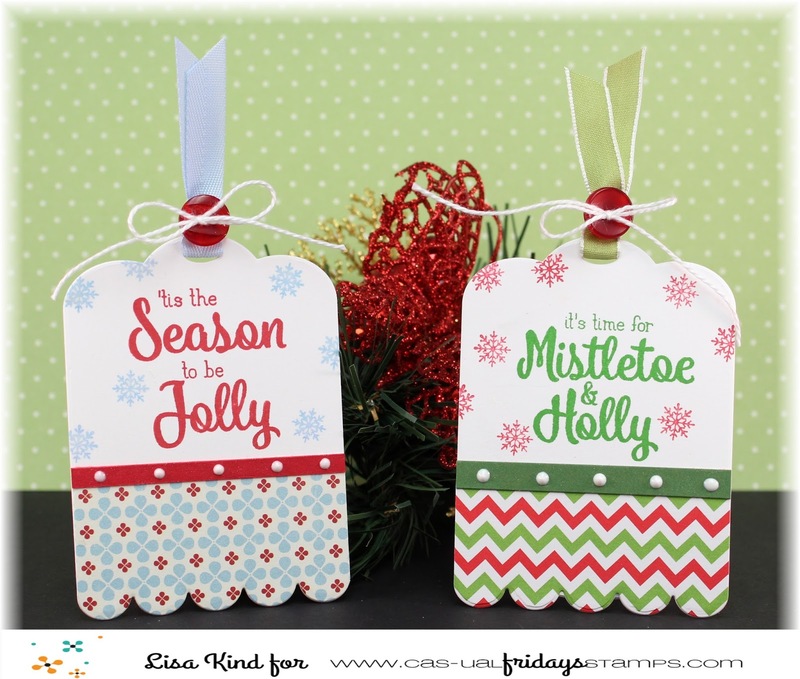 I'm in Christmas card mode now and saw this great photo on the Card Concept's blog. What a beautiful wreath! I was looking through my Christmas stamps and dies and found a die that I thought would be perfect for this challenge. I really need to participate in other challenges too instead of just creating for my design teams. I'm getting lazy! I started by sponging some Oxide inks on Bristol paper in pinks and blues. 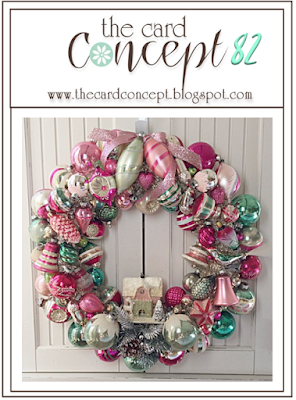 Then I die cut this gorgeous wreath from it. It came out just as I imagined! That doesn't happen often! 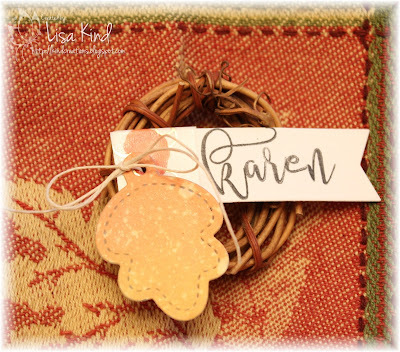 I just bought the Concord & 9th release and this ribbon die and sentiment were perfect for the middle of the wreath. I embossed the sentiment in platinum embossing powder. As I was laying everything out, I decided to impress the main panel with a linen impression plate. Then I saw these snowflakes that were die cut from the die and added them as accents instead of throwing them out. I sprayed the whole thing with shimmer spritz. I think I would call this Clean and Simple according to the Card Concept's definitions. Hi friends! 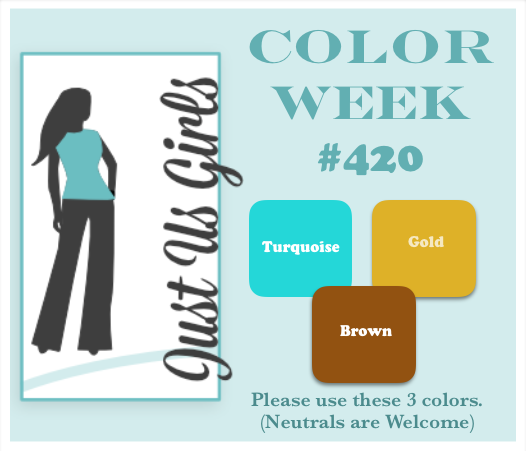 It's color week at Just Us Girls and Angie chose a fun combo! When I saw the new MFT release, I knew I wanted to get this deer die set and the chained link set. When I finally got around to ordering it, they were sold out everywhere. So sad! But my LSS, Buffalo Stamps and Stuff, came through. I got the last one of each! Love that store! Anyway, I thought it would be perfect to use for this challenge. I started by die cutting a stitched rectangle from Bristol paper and sponged Peacock Feathers oxide ink on it. Then I doe cut two stitched snow drifts from the same paper. 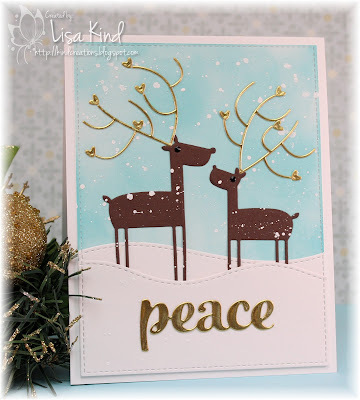 I die cut the deer from brown cardstock and the antlers from some shiny gold paper as well as the sentiment. For the first time, I used the Copic opaque white paint to spatter some to look like snow falling. I added the gold hearts to the antlers and black enamel accents for the eyes. Love those antlers! You can see more from the design team and our guest on the JUGs blog. Hi everyone! 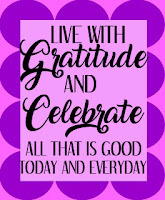 The challenge over at CAS-ual Fridays is Gratitude with Altitude. What does that mean, you ask? I was a little stumped too until I saw what the design team came up with. Basically it's giving some "lift" to your thankful sentiments. This is what I came up with. I bought this stamp set way before I was on the design team. I just loved it and the sentiments. 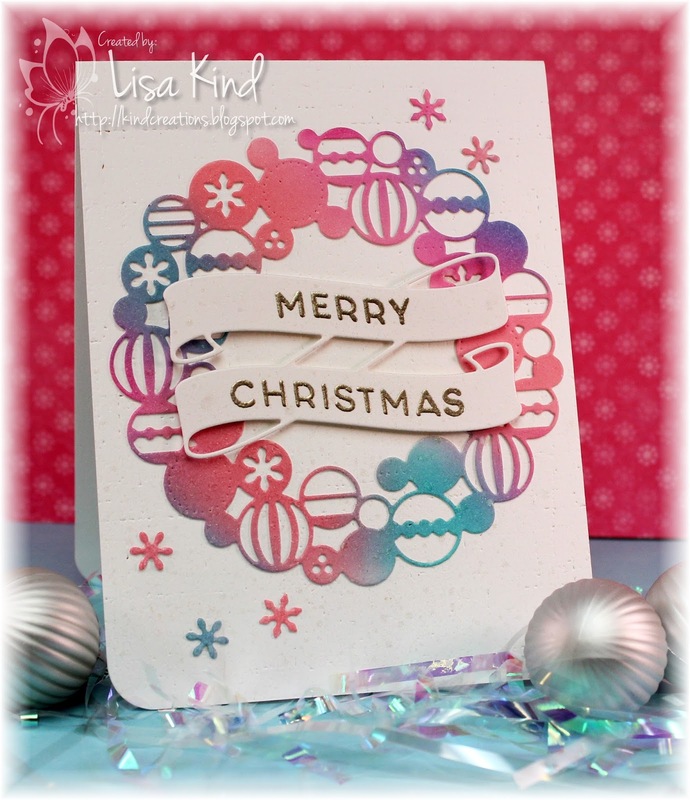 I die cut the curve on the main piece then curved the green image on my Mini Misti to follow it and stamped it. Then I stamped the top sentiment in orange. 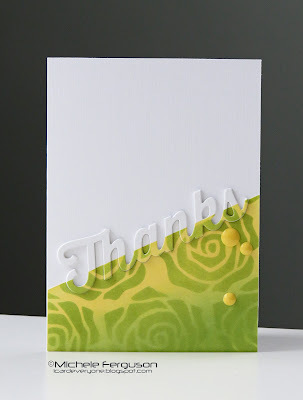 The middle sentiment was stamped in Versamark on desert storm cardstock and embossed in white. I made it a smidge longer than the main panel and cut the ends into flags. This piece was raised from the main panel using dimensional tape. To give the desert storm piece behind this panel some texture, I ran it through a quilted embossing folder. Spectrum noir shimmer was added to the green image and sequins completed the card. I used this week's CAS(E) this sketch for my layout. Very cool one! 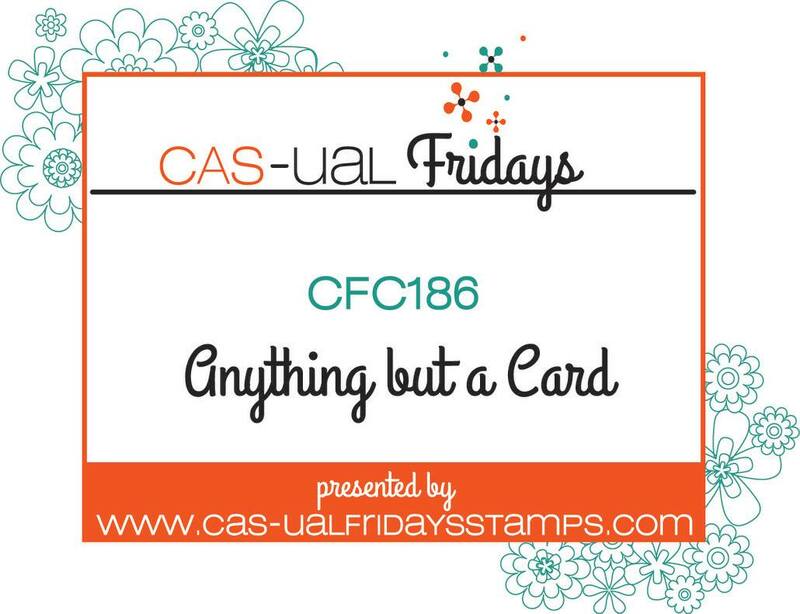 You can see more from the design team on the CAS-ual Fridays blog. Hi everyone! 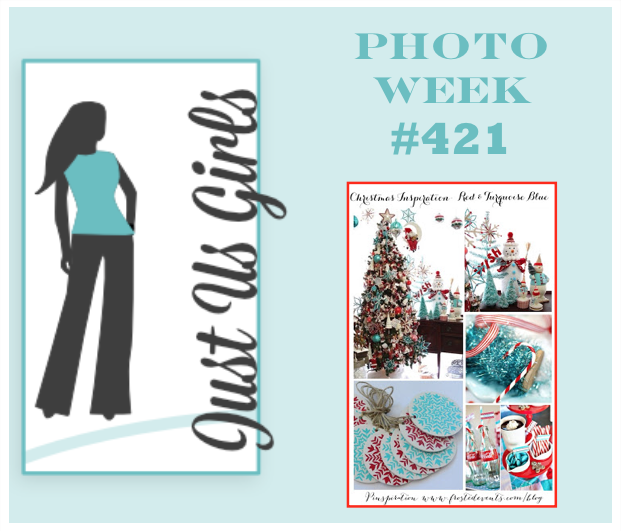 I'm the hostess over at Just Us Girls this week, and it's our Trend Week. 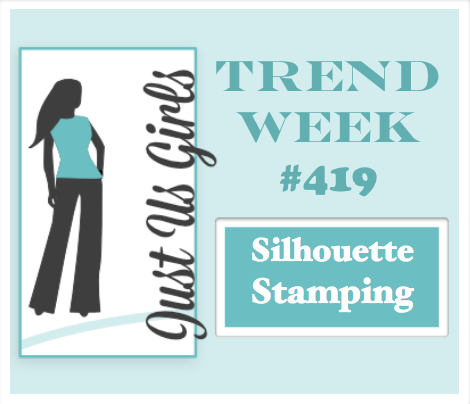 I saw Jennifer McGuire do a video on silhouette stamping a while ago and thought it would be good for this trend week challenge. I was at my LSS last week and came upon this Penny Black stamp set. I thought it would look good stamped in black, so I bought it. I wish my photo taking skills were better. This card looks so washed out, when it really isn't! I started by sponging some oxide inks onto a piece of Bristol white cardstock. I left it lighter around the manger. Then I stamped the images in Versafine onyx black. I wanted to spatter it with some copic white paint, but I didn't want it to get all over the images, so I just used a white get pen. I stamped and embossed the sentiment. Starting to get those Christmas cards done! Hi friends! The challenge over at the Time Out blog is a CASE challenge. This is the card by Michele we are CASE-ing. Love the layout and the way the she die cut the word on that angle. 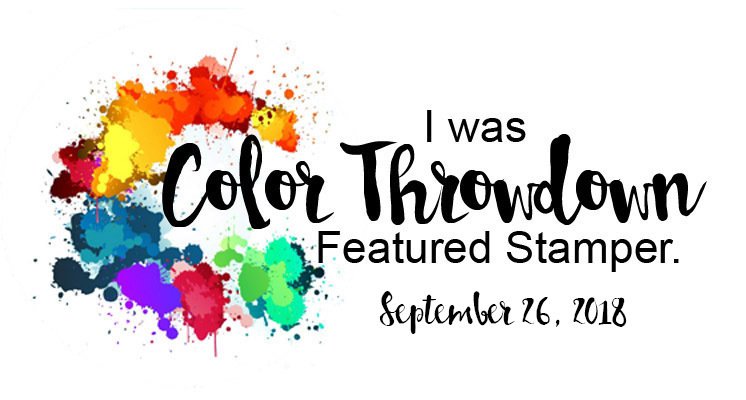 You can see more from the Time Out design team and our guest for this challenge, my JUGs teammate Bobby, on the Time Out blog. Happy Saturday! 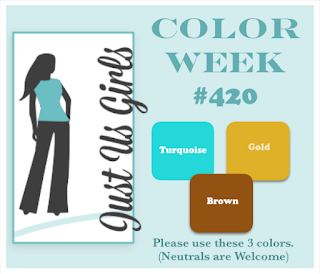 We have a new Word Challenge over at Just Us Girls. 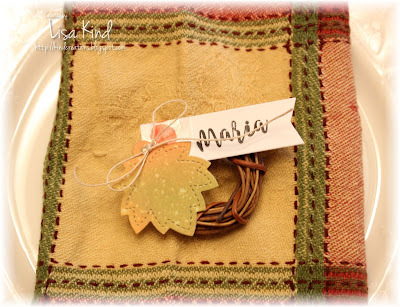 Maria chose the word THANKFUL. 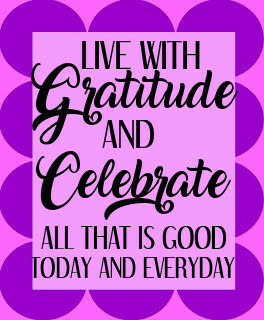 Great word for this time of the year! I was organizing my new stamps the other day and came across this free stamp I received from Concord & 9th. I thought it was perfect for this challenge. I stamped it in one of those Kaleidascope ink pads. This one was from Stampin' Up, so it's an old one called Pumpkin Patch. Then I used a wonky stitch die to cut it out. I also came across this plaid cover die from Altenew while I was organizing and used it over the Distress Oxide inked background. The colors matched the ink pad I used on the stamp perfectly. The background was spritzed with water. I added sequins too. 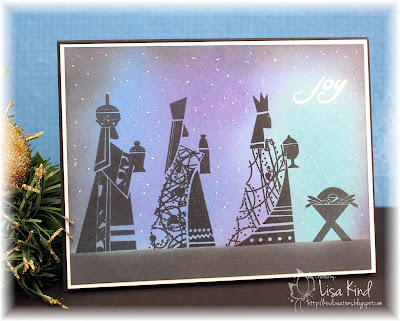 You can see more from the JUGs DT and our November guest, Trina Pham, on the JUGs blog. Hi friends! 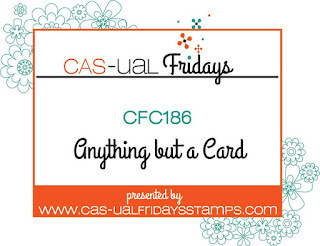 I'm late getting this post up, but over at the CAS-ual Fridays blog, the challenge is to make anything but a card. 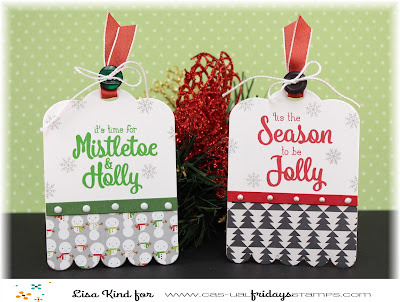 I love tags, and CF has some cute tag dies, so that's what I went with. 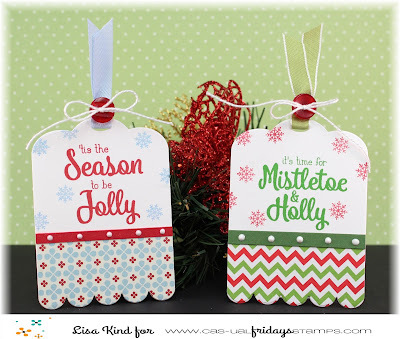 You can see more from the CAS-ual Fridays design team on the CAS-ual Fridays blog.